My mother-in-law is a big quilter…I mean SERIOUS quilter here, folks. She has drawers, closets, ROOMS full of fabric and AMAZING quilts hung all over her house. We all have handmade heirloom quilts on our beds and beautiful quilted wall-hangings…doesn’t get any better than that! 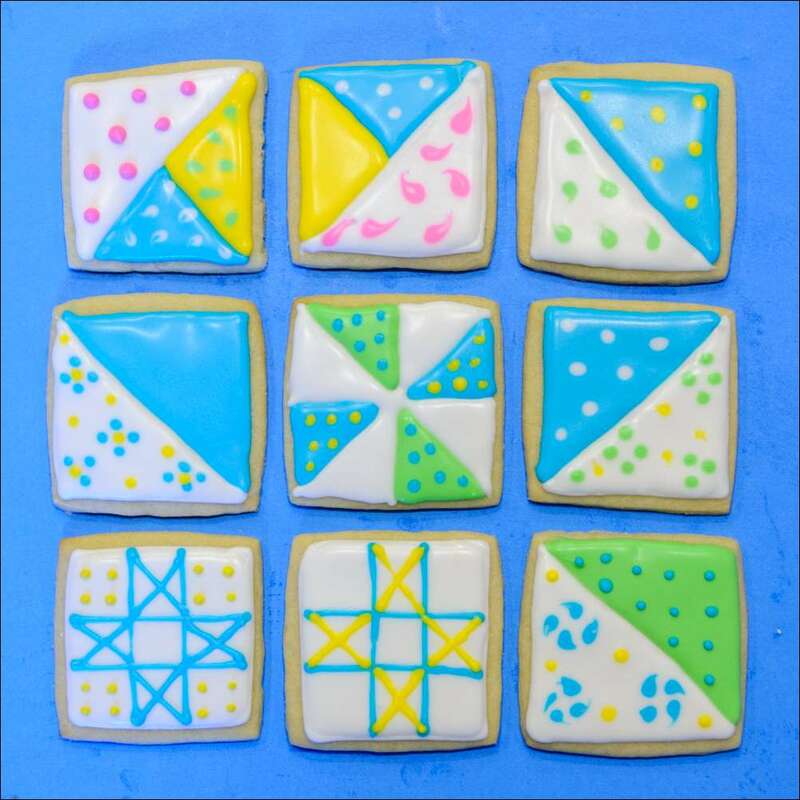 It only makes sense that I make some quilt-themed cookies for one of her gatherings of quilter friends. 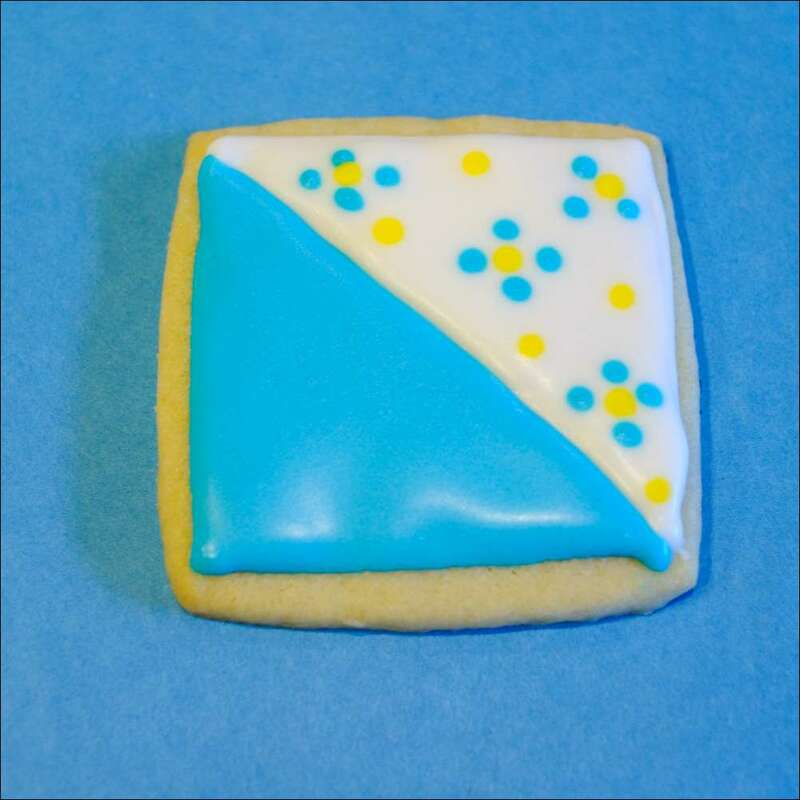 These are delicious, buttery cutout sugar cookies frosted with a white vanilla royal icing glaze. 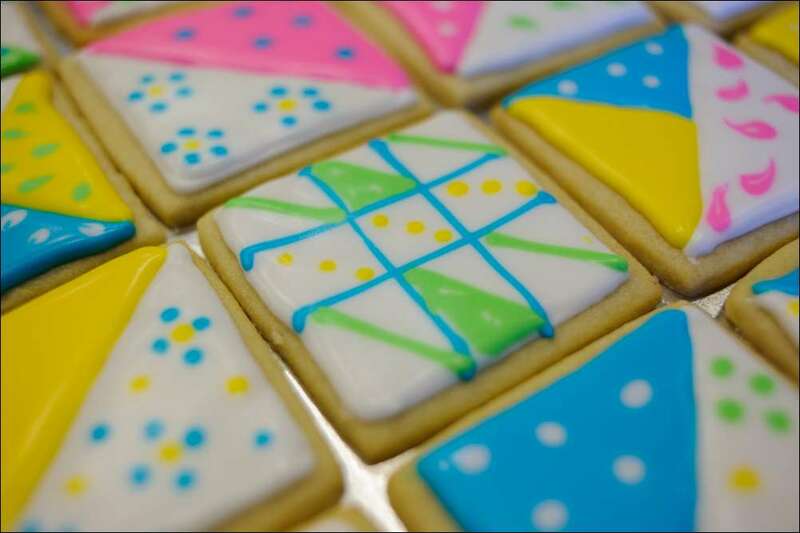 While the icing was drying, I added brightly-colored details to make the cookies look like quilted fabric. The technique used to create the designs on most of them was “wet-on-wet.” While the white basecoat was still wet, other colors were layered on top. 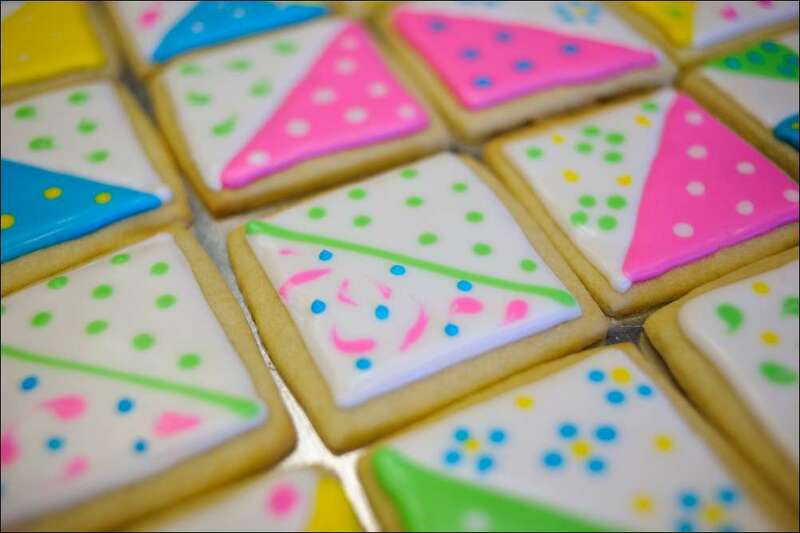 Sometimes I’d drag a toothpick through the wet icing to make different patterns. 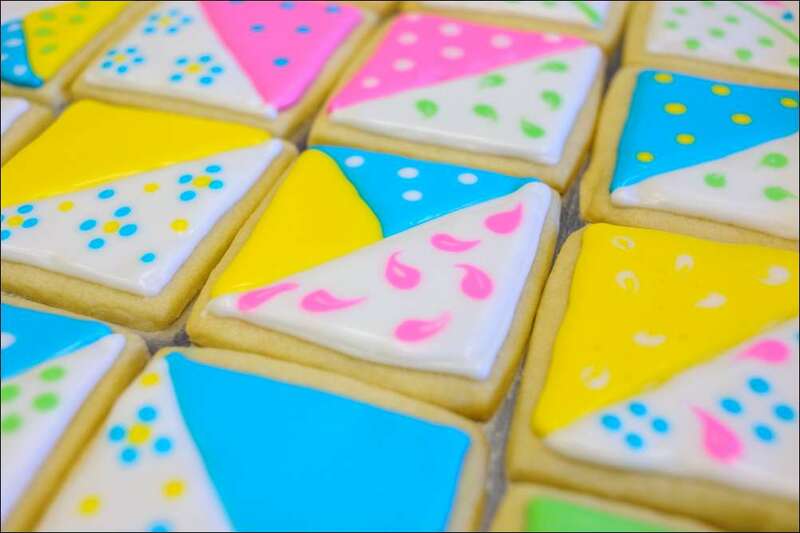 Others were made by icing one half of the cookie in one color, letting it dry, and then icing the rest with alternate color(s). It took some time, but it was almost theraputic to create each different design. They were fun to make (albeit time-consuming, lots of drying between steps) and my MIL really appreciated the effort! 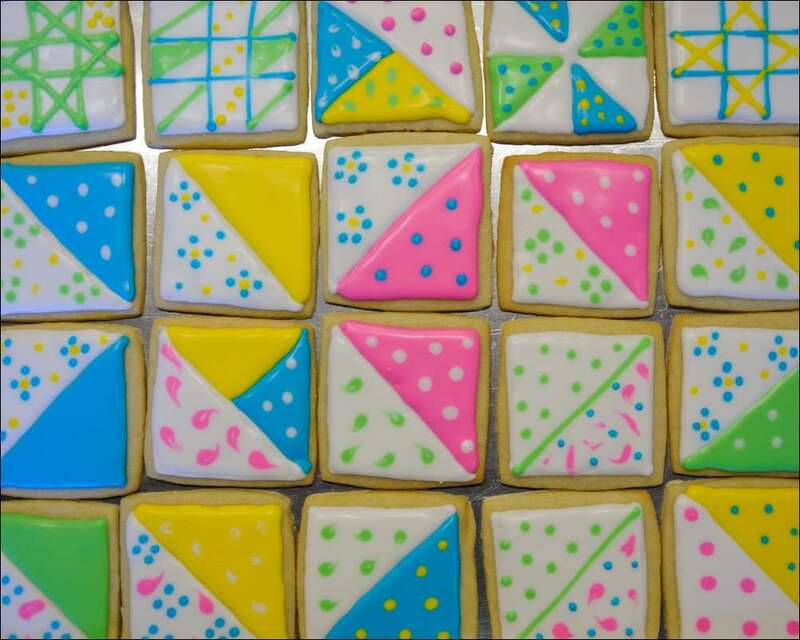 Anything for my favorite quilter…Happy quilting (and munching), Ladies! These are amazing. 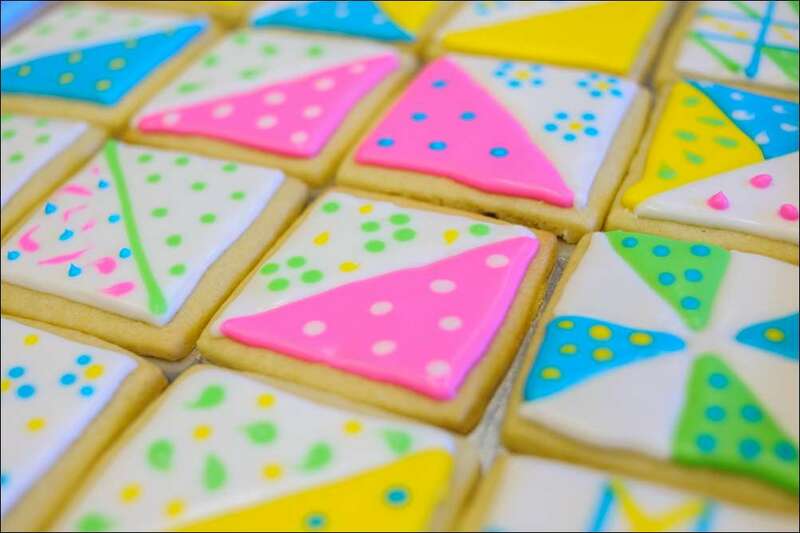 Our guild executive provides the treats for our opening meeting in September so I am going to get practicing now and bring some as my contribution. I guess my family will have to test my practice runs. Thanks for the wonderful inspiration.